At the start of the year I did a big haul, including lots of China Glazes. Namely some of the Speciality Glitters. The one I was most excited to try besides Atlantis, was Cosmic. Doesn't it look beautiful in the bottle? Unfortunately though, that's where it ends. I tweeted about how disappointed I was by this polish and China Glaze contacted me so they could send me a new one. I didn't think it would be any use, it's down to the formula, but decided to accept anyway. 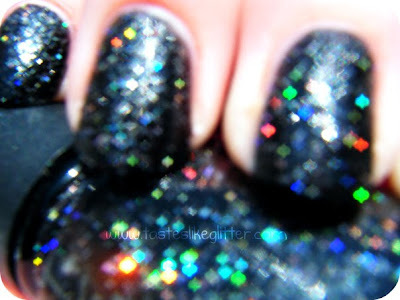 It's a black creme base with a ton of holographic glitter (that sticks to the side of the bottle, for the most part). See how opaque that is? 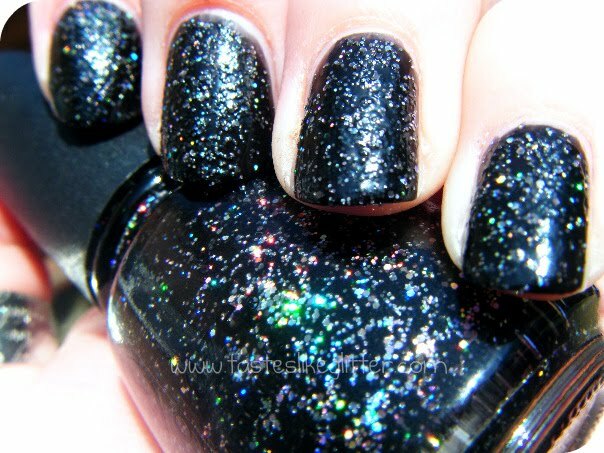 Lumps and bumps all over the place, with a touch of glitter overhang. Not cute. 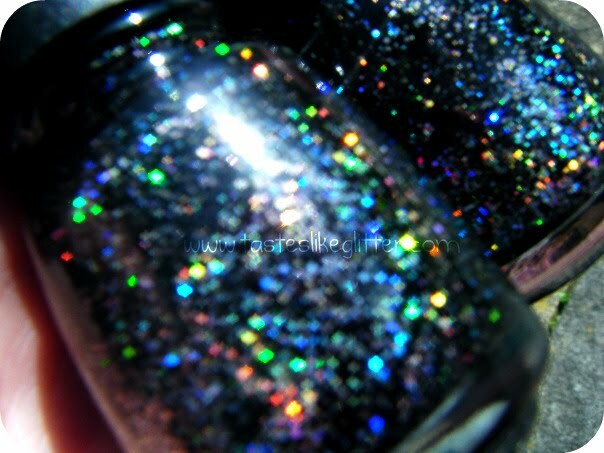 The base coat is far to dense, it covers up the majority of the glitter so it doesn't have a chance to show off it's holo-y goodness. It's just horrible in my opinion and the only China Glaze polish I've come across, that I really really hate. 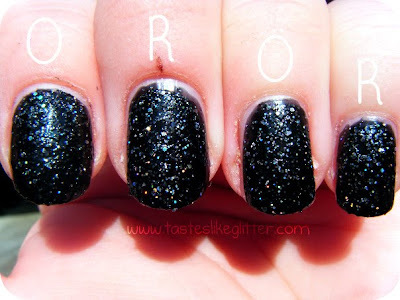 From now on, if I want a holo black, I'll stick to my home made O.P.I - My Private Jet. Have you tried this? Did you want to? I wouldn't advise it.